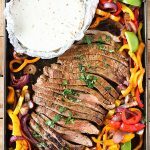 These Sheet Pan Steak Fajitas are so delicious and exceptionally easy to make! 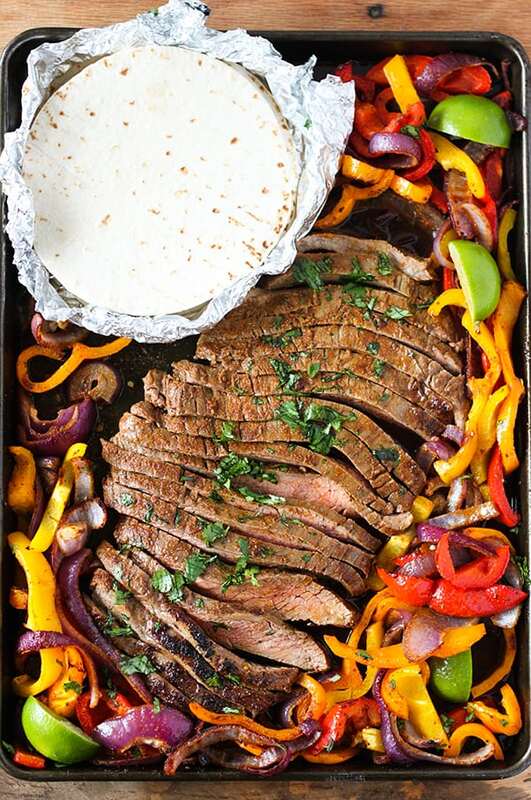 Tender seasoned flank steak with colorful onions and bell peppers all cooked together on just one sheet pan. This dinner is truly restaurant quality and you can have it on the table in about 30 minutes. It’s perfect for busy week nights but special enough to serve to company. 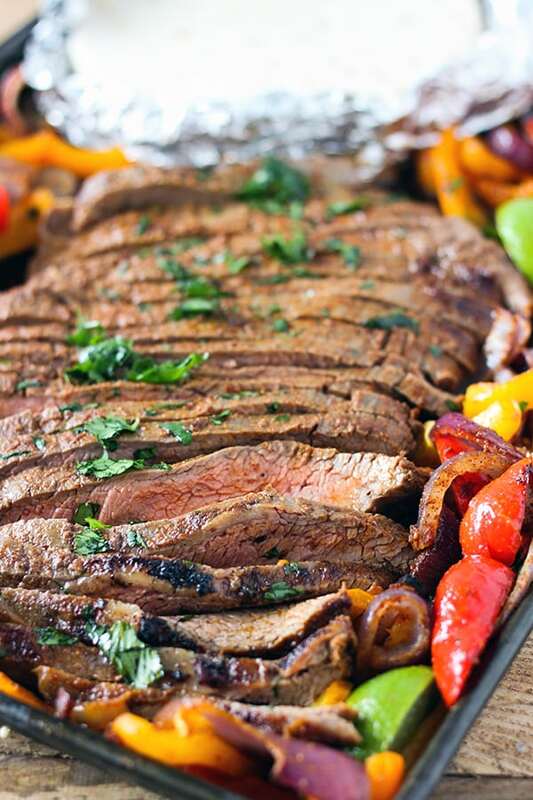 Everyone is going to love these out-of-this-world steak fajitas! Serve them in a soft warm tortilla, corn or flour depending on your preference, with fresh avocados and sour cream. Yum! 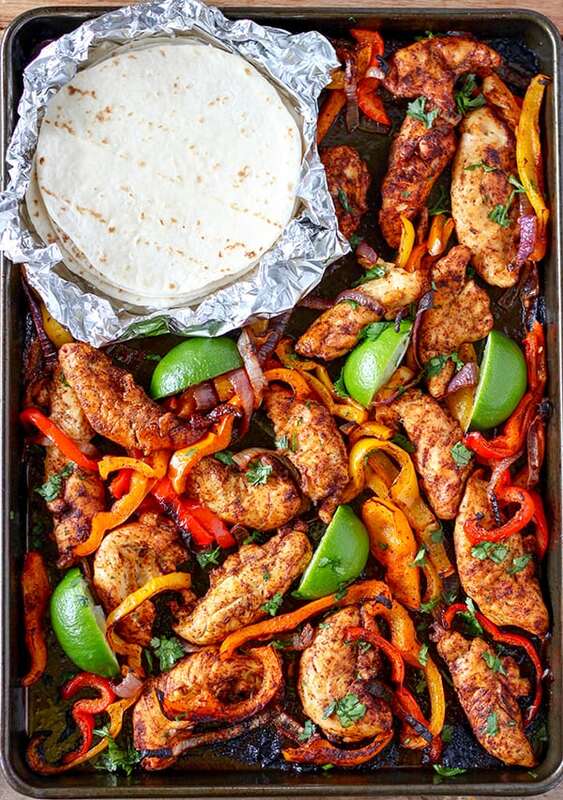 My Sheet Pan Chicken Fajitas and Sheet Pan Shrimp Fajitas are some of our family’s favorite recipes, and I’m so excited to add these Steak Fajitas in our rotation. These are so good, I’ve already made them several times! Start by preparing the seasoning blend, then divide the seasoning and use half to season the steak and half to season the veggies. The seasoning blend, combined with olive oil, fresh lime juice and a splash of soy sauce create a super charged marinade that flavors the meat while you are slicing the onions and veggies. The soy sauce is the secret ingredient that enhances the meaty flavor of the steak, you won’t taste it in the finished recipe. If your steak is smaller than two pounds or especially thin, adjust the cooking time down and cut the onions and bell peppers thinner. 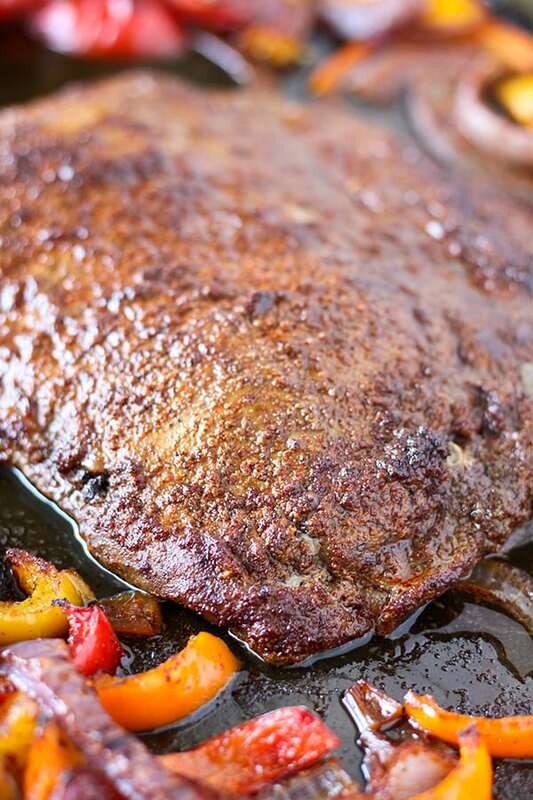 For a thin flank steak, you can also put the veggies back under the broiler while the steak is resting to get a little extra cooking time if needed. Be sure to let the flank steak rest and cut against the grain when serving for the most tender results. Depending on the size of the flank steak, you may also want to cut the steak strips down the middle as well as horizontal. Preheat oven to 450 degree. In a small bowl combine salt, pepper, chili powder, garlic powder, onion powder, cumin and paprika. Divide spice mixture in half. 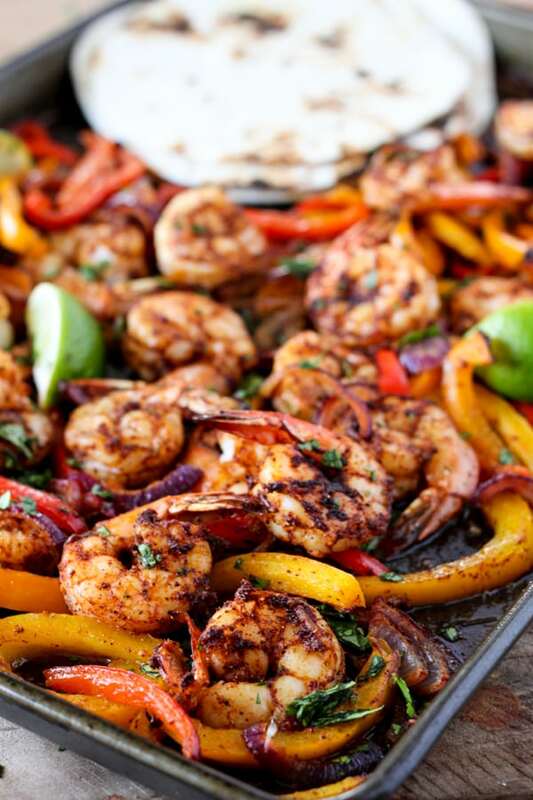 In a large plastic storage baggie, combine 1 tablespoon of olive oil, lime juice, soy sauce and 1/2 of spice mixture. Add steak to plastic storage baggie and turn to coat, let steak marinate at room temperature while slicing peppers and onions. Slice peppers and onions into 1/4 in slices. Add peppers and onions to sheet pan, drizzle with 1/2 a tablespoon of olive oil and sprinkle with remaining spice mixture, turning to coat. 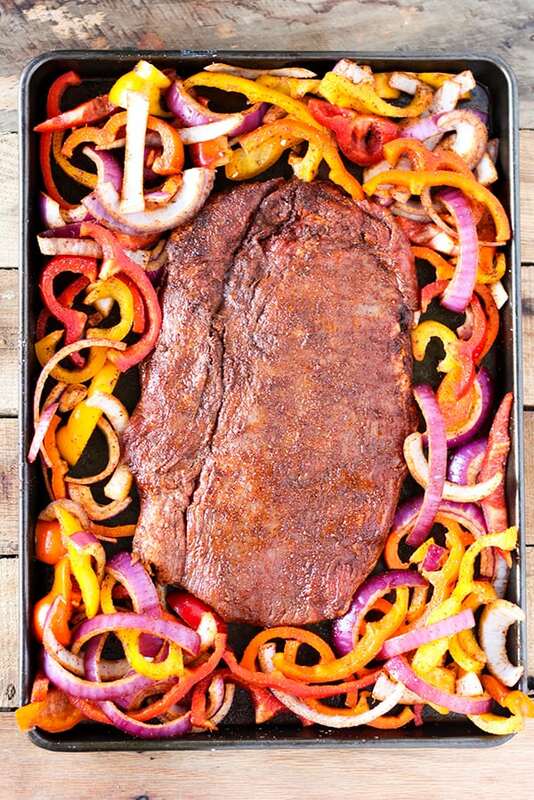 Move bell peppers and onions to outer edges of sheet pan and place steak in the middle. Cook at 450 degrees for 12-15 minutes, then broil on high for additional 2 minutes. Use a meat thermometer check for doneness. About 140 for medium rare to 150 for medium. IMPORTANT - for juicy and tender steak, let rest at least 10 minutes and cut against the grain. Sprinkle with fresh cilantro and a squeeze of fresh lime juice before serving. Tortillas can be wrapped in a foil packet and heated in the oven while steak is resting. Serve fajitas in warm tortillas with avocado and/or sour cream. 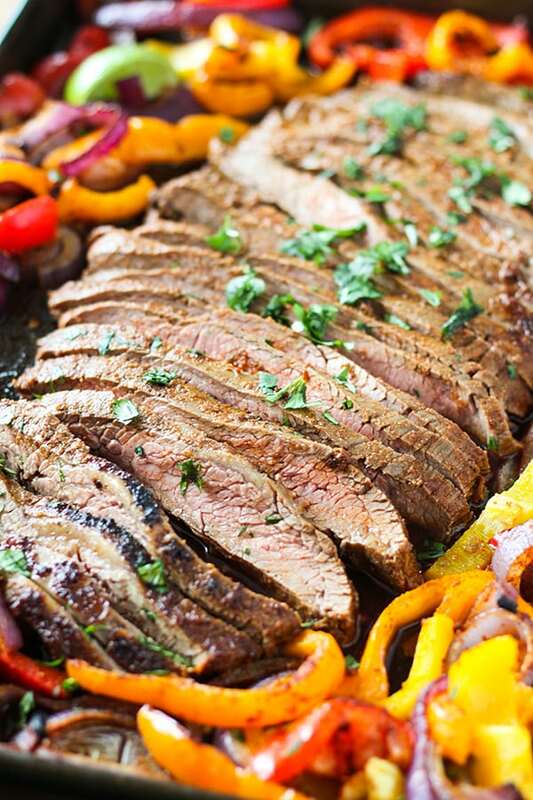 These Steak Fajitas make great leftovers too! I store the steak and veggies together in the fridge, then reheat on the stove top over low heat. These were amazing! I used sirloin, and honestly couldn’t imagine an easier tastier recipe! This is the best marinade I have ever had, I actually use it for other cuts of meat too and is always a hit with the family! 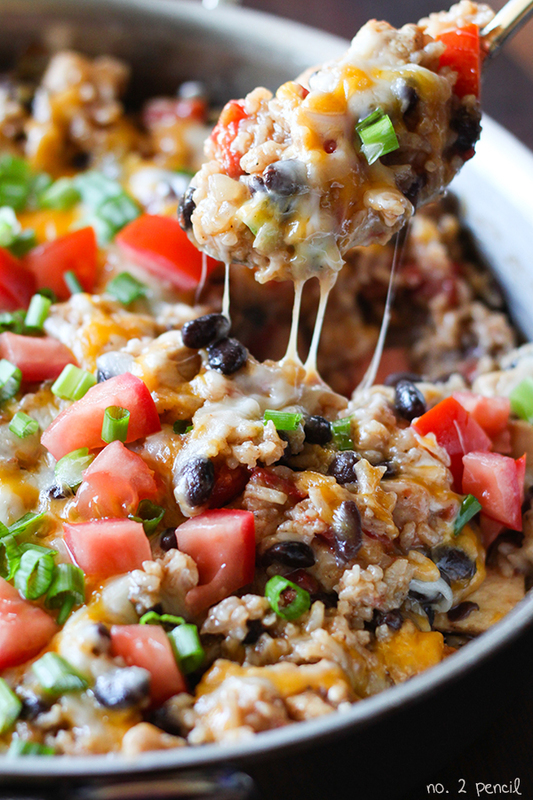 Thanks for sharing this tasteful recipe! Hi! I am trying to make these but I cannot find an actual recipe, only blogging. Is there a way to have the actual recipe? So sorry! My recipe plugin was down for just a few minutes. You should be able to see the recipe now. Thank you! This was a fantastic recipe! We’ve made it a few times now and the kids keep asking for it. I paired it with some homemade corn tortillas and they were a hit! Thanks for the great recipe! Awesome meal!! My son(who is a senior in high school) requests it all the time. Im wondering if you could combine all the ingredients and freeze it to make later?? Has anyone ever tried that!! Great recipe! We used this last night to make fajita bowls with cilantro lime rice. Fantastic recipe!! Thanks so much for sharing!!! You’re like a real-life Martha Stewart without the evil and/or the contempt for middle class people. 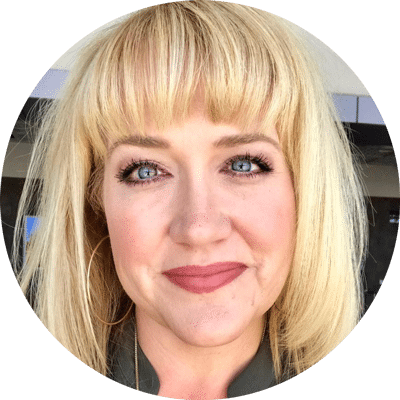 Do you plan to publish a cookbook? Hahaha! Thank you, Noah. I’m a huge Martha fan. A cookbook is on my bucket list for sure! Better fajitas I have ever had! We have Mexican often and these are by far better. Can’t wait to share this recipe. Thanks you, well done! I made this last night and my family loved it! it was delicious!!!! definitely a keeper! we loved it! I followed the exact recipe and the whole family loved it. it was super simple and delicious. Thank you!! I was about to start these right now. But just realized I don’t have a line. Only a lemon. Could I leave out the lime completely? Or use lemon in the marinade? Or do I need to run to the grocery before starting dinner?